Embraer shares in Sao Paulo closed 2.42 percent lower, although it remained too early to say whether the injunction will actually block or significantly affect the deal. Labor groups in Brazil often bring court challenges against significant business deals and the injunction could be reversed. The decision forbids Embraer’s board of directors from signing the deal to create a joint venture on commercial aviation that Boeing would control. Boeing declined to comment and Embraer did not immediately reply to a request for comment. The companies announced in July that Embraer would sell 80 percent of its commercial aviation business to Boeing in a deal valuing that segment at $4.75 billion. Embraer, among the world’s largest makers of mid-sized planes of up to 150 passengers, used to compete in that segment with Canada’s Bombardier Inc (BBDb.TO). The deal has stalled partly because the Brazilian government, which has veto power at the planemaker, has been reluctant to give it a greenlight. Only then could the company call a shareholders meeting to approve it. In his decision, judge Victorio Giuizio Neto cast doubt that the proposed deal would be good for Embraer’s bottom line. “The reason is very simple, Boeing is not giving up anything” in this transaction, he wrote. The decision says Embraer would give up its profitable commercial division. He added that the new company would threaten the rights of the Brazilian government because it would restrict its control over Embraer to the part of the company that will not be sold to Boeing. The deal between Boeing and Embraer is widely seen as a reaction to an earlier deal between that joint venture. Boeing and Airbus historically have produced larger aircraft than Embraer and Bombardier. But the mid-sized segment is expected to grow substantially, which would give Airbus a significant advantage over Boeing unless the U.S. planemaker also expands into that market. Brazil President Michel Temer said he would leave the decision to the future administration, which takes office Jan. 1. President-elect Jair Bolsonaro has said he is in favor of the deal. Reporting by Ankit Ajmera in Bengaluru and Tracy Rucinski in Chicago; additional reporting by Marcelo Alonso Rochabrun in Sao Paulo and Julia Symmes Cobb in Bogota; Editing by Shailesh Kuber and Tom Brown. WASHINGTON and COLOGNE, Germany — Lockheed Martin and Airbus have agreed to develop a new aerial-refueling service aimed at the U.S. Air Force, upping the pressure on incumbent Boeing to deliver its KC-46 tankers on time. The two companies, industry behemoths on each side of the Atlantic, hailed the pact for combining Airbus’s A330 Multi-Role Tanker Transport (MRTT) plane with Lockheed Martin’s systems-integration expertise and “presence” on the U.S. defense market. In essence, the joint venture could provide Airbus with another bite at the massive Air Force air-tanking apple after rival Boeing won the bid to build a fleet of new aircraft in 2011. “The companies are taking a cooperative approach, with the Airbus A330 Multi Role Tanker Transport (A330 MRTT) at its heart, to examine a broad spectrum of opportunities,” reads a Dec. 4 joint Lockheed-Airbus statement. “These may range from ways to support critical near-term air-refueling needs, such as a fee-for-service structure to conceptualizing the tanker of the future. The partnership comes as the Air Force is eager to get more tanking assets to meet the demands of the new U.S. National Defense Strategy. In September, the service announced that it will need at least 14 additional tanker squadrons by 2030. The Air Force plans to buy 179 KC-46 tankers from Boeing so that it can begin phasing out older models, but the company has missed key delivery dates multiple times — most recently this October. And even after Boeing begins delivering planes at a steady clip, there may be a requirement for more than a hundred new tankers beyond the KC-46 program of record. One thing to watch will be whether the Air Force is amenable to the proposed fee-for-service model involving planes from outside its own fleet. Richard Aboulafia, a defense analyst with the Teal Group, argued the Airbus-Lockheed agreement makes a lot of sense. However, it comes with two huge questions: Who pays for the planes that are used to fly missions for the U.S. Air Force, and what kind of a contract is the Lockheed-Airbus team expecting? “Airbus and Lockheed [could] team up to take that risk. Lockheed is not famous for taking commercial risks. Quite the opposite,” Aboulafia said. Another confusing note is the companies’ stated desire to begin “conceptualizing the tanker of the future,” according to the news release. Lockheed and Airbus have different core competencies — Airbus as a massive producer of commercial airliners able to divert that technology to low-risk solutions, and Lockheed as a developer of cutting-edge, military-specific aircraft, Aboulafia said. Air New Zealand gets regular kudos for innovating everything from in-flight services to safety videos, its funky films featuring Hobbits and other famous Kiwis. And now, for the fifth consecutive year, the carrier has come out on top in the annual Airline Excellence Awards, created by Australia-based aviation safety and product rating agency AirlineRatings. Celebrating the best in the aviation industry — from budget operators to culinary champions — the awards named Air New Zealand as Airline of the Year for 2018. “Air New Zealand came out number one — or equal first — in all of our audit criteria, which is an exceptional performance,” the AirlineRatings judging panel said. Air New Zealand won AirlineRatings’ “Airline of the Year” award. The awards take into account four major international industry and government safety audits as well as fleet age, passenger reviews, profitability, investment ratings and key product offerings. “We also look to see if the airline is an innovator trying new things to improve the passenger experience,” says Geoffrey Thomas, editor-in-chief of AirlineRatings.com. In the premium stakes, Singapore Airlines took top spot for First Class — the airline’s name being “synonymous with excellence of in-flight product,” according to AirlineRatings. Virgin’s “The Business” suite is a luxurious offering — unrivaled by other executive options. 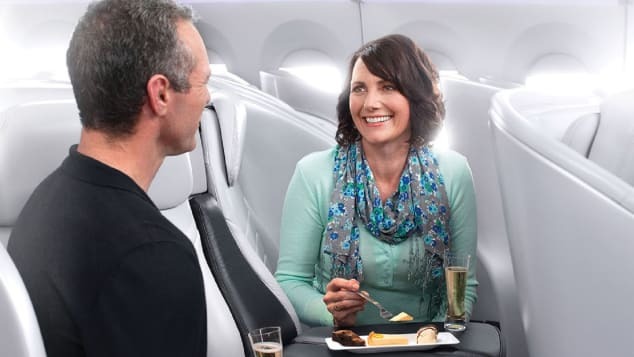 AirlineRatings also reviewed the economy options — Air New Zealand won Best Premium Economy, whilst Best Economy went to Korean Air in recognition of its spacious seats. “Our editorial team places significant importance on premium economy on a long-haul airline,” says Thomas. “It is without doubt the best value proposition for the passenger and airline. Australian airline Qantas also had a good run, winning Best Catering, Best Lounges and Best Domestic Class. Singapore Airlines took the top spot for First Class. Alongside the Airline Excellence Award winners, AirlineRatings announced its Top 10 airlines for 2018. The carriers named in the round-up have a seven-star safety rating and have demonstrated their innovation, according to AirlineRatings. AirlineRatings says its judging team includes experts who’ve been assessing the world of aviation for 20 years. While the top airline list favors antipodean carriers, Thomas insists the process is “objective and not open to abuse,” with criteria assessed carefully and combined into a spreadsheet to arrive at the award-winners. Operators of Leonardo AW169 and AW189 helicopters have been ordered to conduct immediate inspections of their tail rotors in the wake of a fatal AW169 crash in Leicester, England, on Oct. 27. In an emergency airworthiness directive (AD) issued on Nov. 7, the European Aviation Safety Agency (EASA) called for AW169 and AW189 operators to check for correct installation of the tail rotor servo-actuator within five flight hours or 24 hours, whichever occurs first. 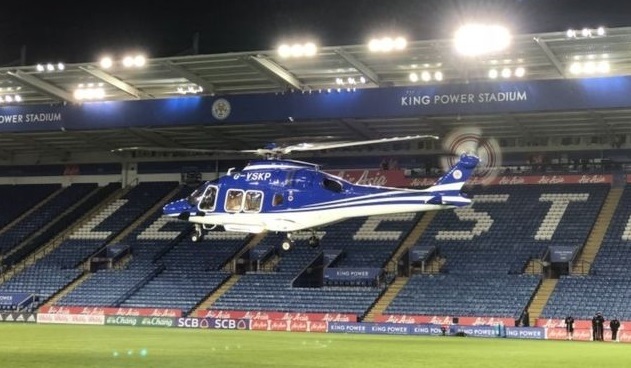 The AD was prompted by the crash of an AW169 owned by Leicester City Football Club owner Vichai Srivaddhanaprabha as it departed from King Power Stadium following a match. Bystander video showed the aircraft performing a vertical takeoff from the field, then spinning out of control before transitioning into forward flight. The aircraft crashed outside of the stadium and burst into flames, killing all five people on board, including Srivaddhanaprabha. The United Kingdom’s Air Accidents Investigation Branch (AAIB) is conducting an investigation into the accident, “the root cause of which has not been identified,” according to the EASA AD. However, as a precautionary measure, manufacturer Leonardo Helicopters issued an emergency alert service bulletin (ASB) for AW169s, instructing operators to check for correct installation of the tail rotor servo-actuator. Subsequently, Leonardo issued an ASB with the same instructions for AW189 helicopters, which have a similar tail rotor design. The AAIB has yet to issue an interim report on its investigation into the Leicester accident. In its last updateon Nov. 2, the agency reported that it was able to successfully download recordings from the aircraft’s digital flight recorder. “Our inspectors are verifying the extracted information and have started the detailed analysis of its contents,” the agency stated. Airbus Helicopters is set to open a new maintenance, repair and overhaul (MRO) complex near its current facility at Kobe Airport in Japan. The company is expected to start construction next June and plans to commission the facility next November. Airbus’ existing Kobe Airport Facility can concurrently accommodate up to 25 medium-sized helicopters and includes the company’s regional engineering hub. It is also equipped with a full-motion full-flight helicopter simulator, which has provided training to more than 500 pilots and engineers across Japan. Airbus’ proposed complex is set to expand its presence in the country and will enable the company to become the largest aviation business at the Kobe Airport with a total space of 19,685m². The facility will include a hangar, an administration office and a purpose-built warehouse. It is expected to increase Airbus Helicopters’ overall capacity by 60% to handle nearly 40 medium-sized helicopters simultaneously. Airbus Helicopters Japan managing director Olivier Tillier said: “Japan is an important market for Airbus Helicopters. This additional facility is part of our growth plan in the country and demonstrates our commitment to strengthening our support for our customers’ fleets while responding to their increasing demand for aftersale support services. “We have been building up our capabilities in Kobe over the years and believe the site offers a lot of growth potential. Since 1961, Airbus Helicopters Japan has delivered more than 440 helicopters to operators and customers in the country. The company aims to boost its market position in accordance with Japan’s projected fleet growth of 2% per annum over the next 20 years. Airbus went full throttle on aircraft deliveries in October, handing over 81 commercial jets to customers last month. But, after having been hit by supplier disruptions earlier in the year that it continues to wrestle with, that still leaves the European manufacturer plenty of work to do in the final two months of the year to reach its target for the year. Airbus finished October with 584 deliveries, meaning it still has 216 to go to reach its goal of 800 deliveries for 2018. The company said last week as part of its latest earnings report that it was still targeting 800 deliveries, although that goal would now include the 18 deliveries of A220 jets it expects to make. That is the jet that was previously the Bombardier C Series, with Airbus closing on its majority stake in the program in July. Of the October deliveries, 48 were from the A320neo line that has been hampered by delays from engine suppliers. Airbus’ rival, the Boeing Co. (NYSE: BA), hasn’t yet released its October delivery numbers. It has also dealt with supplier disruptions, but finished September with 568 deliveries on the year so far. Boeing also ended September with 631 net orders. That means it will still have a comfortable lead on that metric, as Airbus reported 340 net orders through the end of October. Between Spirit AeroSystems Inc. (NYSE: SPR), other local commercial aerospace manufacturers and Airbus Americas Engineering, Wichita has a role in the design, production and support of all of the aircraft in the two companies’ combined commercial product lines. Efficiency increases and productivity boosts driving the OEM’s digital project. Pratt & Whitney began trials of its Connected Factory concept Nov. 5 at the company’s MRO facility in Singapore’s Seletar Aerospace Park. The engine manufacturer’s digital transformation initiative aims to increase efficiency and boost productivity using customized off-the-shelf software developed by Dassault Systèmes. The project will include a “lighthouse” cell in the repair shop, implementation of intelligent scheduling and overall equipment effectiveness (OEE) metrics, software adoption and sensor installation. “This will give us good analytics on how the machines are running” and help prevent potential breakdowns, Pratt SD-aftermarket operations Asia Pacific Brendon McWilliam said. The system, already in use at the company’s manufacturing plant in Connecticut, “will allow us to put engine parts through the most efficient flow and to cut down on bottlenecks,” McWilliam said. The initial trial, including setup, will last about three months, followed by a six-month study of the relevant data. Pratt plans to roll out the system to the remaining four facilities in Singapore by 2020 and at the company’s shops in New Zealand and China beginning in 2021. Pratt has plans for the full digitalization of the shop floor with other initiatives, such as automated digital measurement, paperless work orders and digital material management, McWilliam said. “A lot of companies are now looking at digital transformation and people are curious to see how these transformations will affect the end user,” he said. Deal expands cooperation between the two companies across Airbus, Boeing platforms. UTC Aerospace Systems (UTAS) and Lufthansa Technik (LHT) are teaming up to support each other’s aftermarket businesses for certain Pratt & Whitney PW1100G-JM components, agreeing to a “life-of-program” component-service agreement for parts supplied by UTAS, the companies will announce. Under the deal, set to be unveiled Nov. 8, LHT will develop repairs for certain UTAS-supplied engine accessories, while the supplier will provide parts and repair services to LHT. The agreement covers specific accessories for the Airbus A320neo engines, including the integrated fuel pump and control, the electronic engine control, and the air turbine starter. The agreement will see UTAS using the LHT-developed repairs in its shops, while the German MRO provider will leverage UTAS’s parts-supply and component-repair services to support its customer base. UTAS and Pratt are both part of United Technologies. Such deals are part of the growing trend of major suppliers teaming with MRO providers to broaden service offerings, gain access to more customers, and, increasingly, strengthen their positions against Airbus and Boeing, which are both creeping into the aftermarket space. In this agreement, LHT gains access to UTAS parts and repair data. In exchange, UTAS has one of the top MRO providers developing cost-effective repairs that it can use in its own shops. The deal also extends the cooperation between the two large suppliers of new parts and aftermarket services. In 2017, LHT chose UTAS’s Aircraft Interface Device as part of an evaluation for sister company Lufthansa German Airlines, which is installing the units on its A320s. UTAS’s Aerostructures business also has a deal with LHT that supports the MRO provider’s Airbus A350 nacelle repair services. The companies have had aftermarket-support agreements in place for 787 components since 2011. LHT also is an official partner in Pratt’s PW1100G-JM overhaul network.